"Great meetings result in decisions, direction, and stronger teams. " "Bill figured out our needs and pulled us together to make several difficult decisions. There was great give and take among our group. We ended up making decisions that the team was very pleased with. His facilitation of our meeting made a tremendous difference." When was the last time you were part of a great meeting? Without Results, meetings are just a lot of talking – unproductive, expensive, discouraging, and demoralizing. Participants deserve a meeting where their time is well spent, where decisions are made that advance the organization's goals, and where talk turns into action. Bill can deliver such a meeting for you. Research has shown that outside meeting facilitation produces more successful meetings. Why? An outside meeting facilitator changes the established group dynamics and hierarchy. Bill uses this to bring focus, direction, objectivity, and perspective to your meeting that would not otherwise be achievable. Professional meeting facilitation allows participants to contribute and interact differently than they would in an unfacilitated setting. The balance of power is altered, allowing new thoughts and ideas to emerge. This increases the value realized from the meeting. 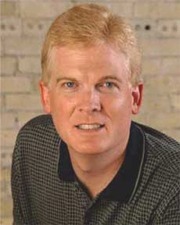 Bill's strong, unique, executive background, studied meeting facilitation approach, and comfortable leadership style guides groups to success. He will facilitate your meeting to results. Bill McGinnis, CFA is available nationwide as a meeting facilitator. Contact him when the quality of your meeting facilitation is a priority.